Our students must develop these skills to be effective members of the workforce. They must be able to effectively collaborate and communicate with their coworkers. These are skills that are also necessary to be effective in a gamified classroom - some quests and challenges require collaborative effort, which in turn demands solid communication. Students must also be creative and innovative as they design in the technology lab. They are encouraged to come up with new and powerful ideas. 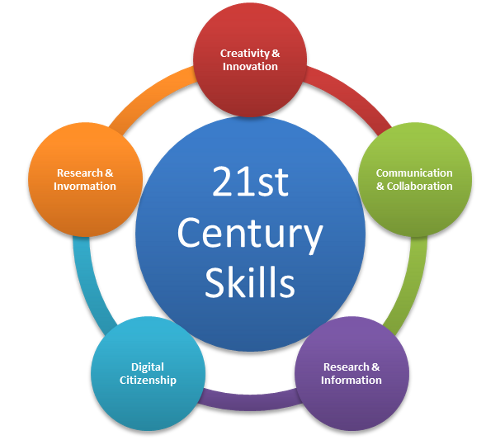 Students must also posses the necessary digital skills not just to be safe in the internet age, but the leadership skills necessary to become advocates not only for themselves but for others. Instruction in digital citizenry that teaches the tremendous impact of their digital footprint will not only protect our students, but will provide them with a pathway for being powerful leaders and agents of change within their communities and worldwide.